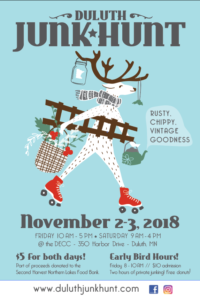 as we are set up at this year’s Duluth Junk Hunt! It’s hunting season… JUNK hunting that is! 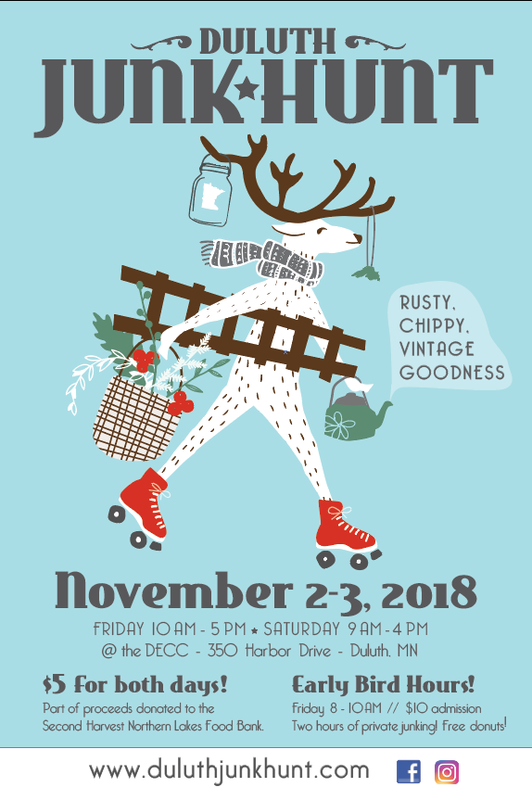 Come hunt for vintage treasures & repurposed pieces THIS weekend, November 2nd & 3rd at the Duluth Entertainment Convention Center (DECC) in Duluth, MN! Friday from 10 AM – 5 PM, and Saturday from 9 AM – 4 PM… $5 cash admission at the door is good for both days! Questions? Visit our website, duluthjunkhunt.com… and follow us on Facebook / Instagram!